Chick n’ Sours – Out in Dalston this weekend? Head to Kingsland Road for sour cocktails, local beers and next level fried chicken. We love the fiery Korean chicken bun and sticky disco wings. 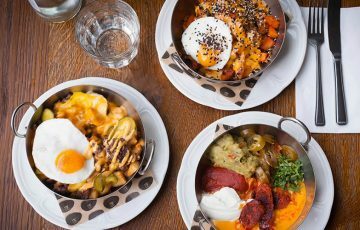 Jose Pizarro Broadgate – Enjoy a Spanish breakfast or drop in after work for prawn buñuelos, Iberico ham and turbot a la plancha at Jose Pizarro’s new restaurant in Broadgate Circle. 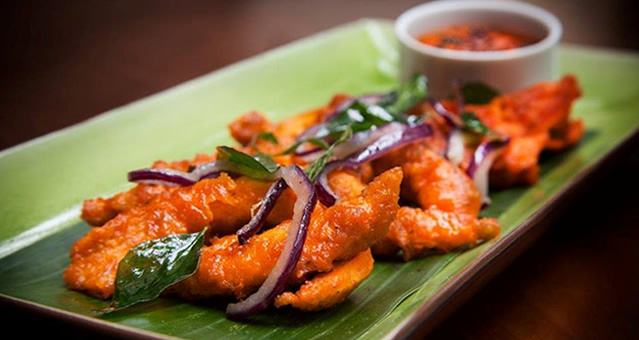 Chai Ki Toddy Shop – The team from Roti Chai have opened an all-day bar and kitchen in Canary Wharf, serving breakfast, exotic cocktails, and modern Indian dishes like Koliwada calamari and spiced Konkan chicken. The more formal Chai Ki Dining Room opens later this month. 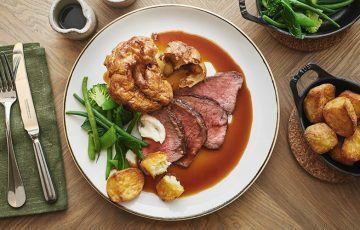 Also new in London: Roka Aldwych; Leicester House; The Little Viet Kitchen in Islington; Greek newcomer, Hungry Donkey; Porky’s BBQ (Bankside); Mussel Men; and Argentinean restaurant, Garufin. 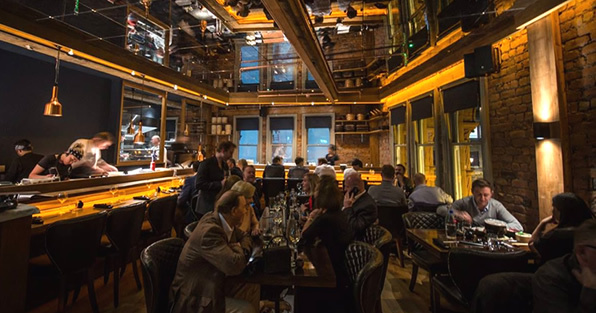 Taste at Rustic – For an unforgettable meal in Dublin, book a table at Dylan McGrath’s newest restaurant, Taste at Rustic. 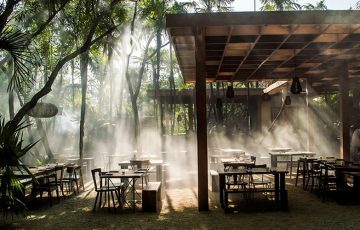 Inspired by his time in Japan, the menu includes expertly prepared sushi and sashimi, Wagyu beef, and quirky crowd-pleasers like short rib beignets and cereal panna cotta. The Salt Bar – As seen on BBC2’s The Restaurant Man, The Salt Bar serves Scandinavian-style food and drink in Macclesfield’s Castle Quarter. Try their Nordic take on coq au vin or the smörgåsbord to share. Pickled Ginger – Bringing the flavours of the Far East to Finnieston, this Glasgow newcomer serves freshly made sushi and Japanese dishes like pork katsu, prawn tempura and chicken teriyaki. You can wash it all down with Asian beers, chilled sake and Eastern-inspired cocktails. Cargo – Offering stunning views across the Mersey, this family-run Liverpool restaurant is perfect for a midweek lunch or a sunset supper. Book a table for Sunday lunch or their popular Tuesday steak night. ‘eleven’ – At the Houndgate Townhouse Hotel in Darlington, this elegant restaurant is open from breakfast through to dinner, serving a bistro-style menu, fine wine and cocktails.